I purchased this from Glasshouse Works in June, 1996. It now has 4 offsets. It's growing in a bit too much light and so the leaves are doubling back on the petiole. It had a bit of a rough start last winter. I had left it outside until the nights were dipping into the 40s. It killed an amazonica but the aquino survived. 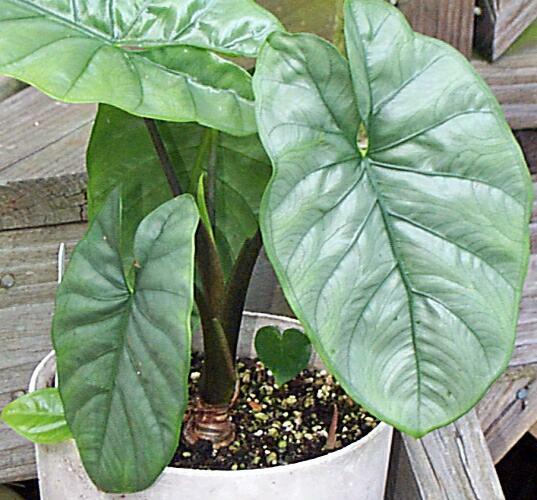 I understand that it's also been called Alocasia corazon.